Nothing can set the mood for the reception better than the music being played, because it captures the spirit of all in attendance, and the disc jockey helps to carry them along on a wave of good feeling for several hours. When a couple makes their selection from among all Pittsburgh DJ services, they always have the opportunity to convey what kind of music they prefer to be played at various times during the evening. To some extent, the music played is simply a reflection of their wishes – for example, some couples might prefer more lively music most of the evening that will encourage enthusiastic dancing, and some may prefer more ‘slow songs’ for romantic dancing. However, it is not an exaggeration to say that a really good Pittsburgh wedding DJ can influence, and almost dictate, the overall atmosphere on that special day. Even if much of the music has been pre-selected by the wedding couple, the personality of the DJ can go a long way toward setting the tone for the whole evening. Quite often, the DJ even becomes the de facto announcer simply because he/she is the person at the microphone, and has professional experience in that area. A fun-loving DJ who is very comfortable with telling jokes and poking good-natured fun at himself and the crowd can have the wedding crowd laughing all through the evening, and when people are laughing they are enjoying themselves. Contrarily, a DJ who is fairly quiet and businesslike may find that the hall has frequent lulls where table chat is the only thing happening other than the music. Wedding receptions are traditionally times of great fun and great feeling for everyone, and the format of the reception lends itself very nicely toward those moods. There are many opportunities during the evening for humor, for affection, and for serious exchanges, and the DJ who can pull off all three with equal flair is one who probably has steady business during the heavy wedding season. For many weddings, one of the highlights of the evening is that first dance between husband and wife, all alone on the dance floor and in the spotlight before the whole crowd. This is a time when a good DJ has either selected the perfect song or announces it like the beginning of new life, which it is. He also knows just how much or how little to say about that very special moment, and then recedes into the background, giving center stage to the stars of the evening. This may be the greatest talent of the skilled DJ – knowing which times he needs to be the star, and at which times the real stars should be featured. Give yourself and your guests memories that will last a lifetime with help from the Pittsburgh wedding DJ services from Steel City DJ. 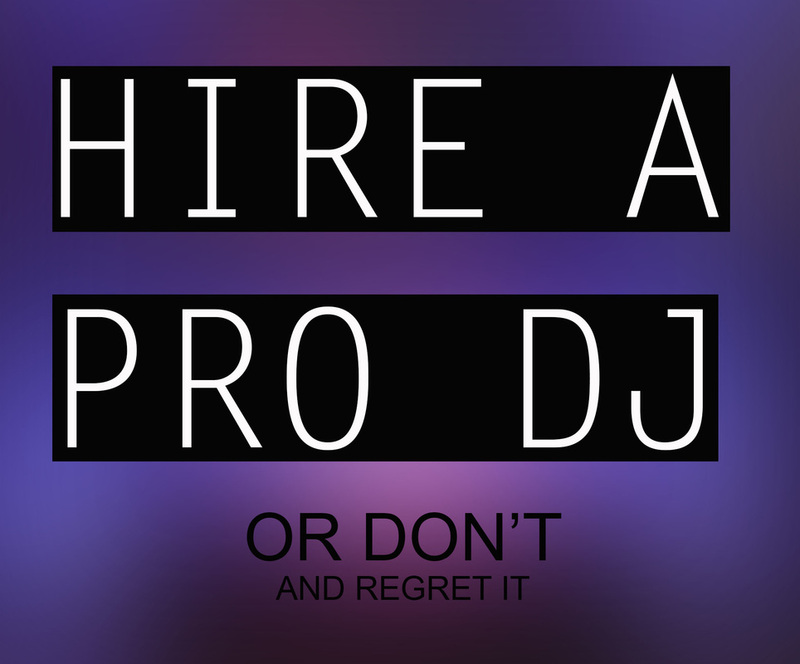 Steel City DJ goes above and beyond the traditional DJ role to make your event a one of a kind experience specifically tailored to fit your special day. If you’re looking for a way to make memories that last, hire your wedding DJ services from Steel City DJ.